Description: Lavender oils is known for properties such as calming, uplifting & soothing for the mind, body. It was used by ancient Romans, in baths to relieve fatigue/stiff joints. It is suitable for all ages. Can be used to sooth mild burns, wounds, rashes, scratches and non-poisonous bug bites & mild burns, headaches, aches and pain, and to improve emotional states, ease nervousness, relax the mind and enhance sleep. May strengthen the immune system, perhaps due to it’s anti-septic quality. 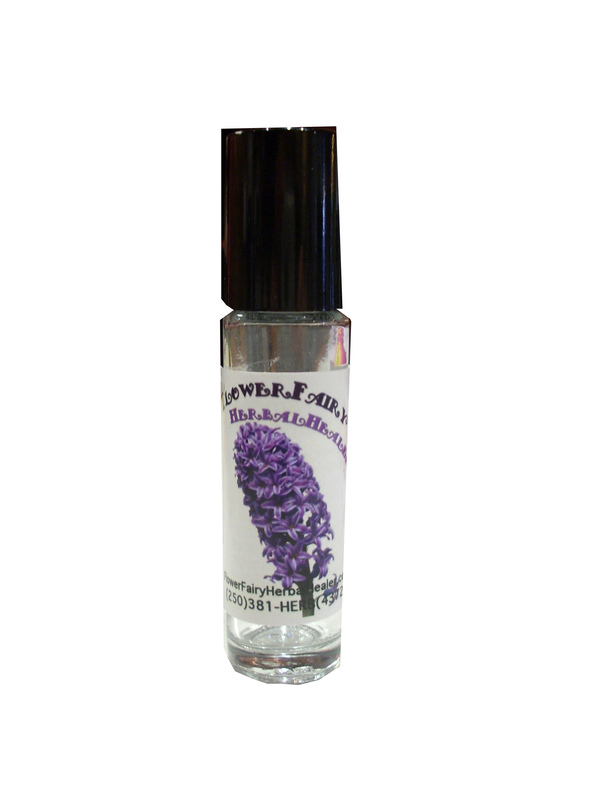 Flower Fairy uses the best quality lavender essential oil available in the world, from Provence, France (it is sourced from small sustainable farms, which distil the oils naturally with no solvents, in low-pressure steam distillation. It is picked at the best time of the day and grown on an elevation of over 1200 meters to insure it’s premium, world-renowned quality). Medieval Europeans considered Lavender the herb of love. Known to help stress. Ingredients: Cold Pressed Sunflower seed Oil, Organic Lavender Essential Oil from Provence, 400IU Natural Vitamin E Oil, & Jojoba Oils In a clear glass bottle roll-on. Directions: Roll on as a perfume, especially on wrist and neck pulse points to help radiate the scent. Roll on as a natural fragrance, for temple or back headaches, on bumps or scratches, to clear and ground and calm from its aromatherapy scent properties. Works best to shake well before applying.